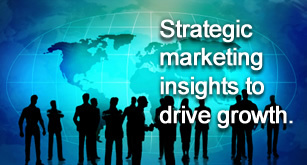 Strategic insights to drive growth. FromTopDown LLC combines analytics, research and strategy to deliver exceptional data-driven market growth strategies, actionable tactical plans and innovative approaches to growth and organizational change. Our methods are rigorous, pragmatic and grounded in our client's operational realities. 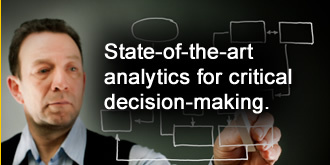 State-of-the-art analytics for critical decision-making. 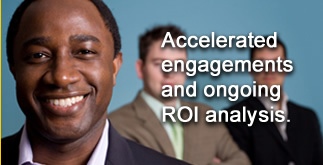 Accelerated engagements and ongoing ROI analysis. Our experienced consultants and project managers excel at leading accelerated projects with clearly defined goals and metrics. In three to six months you can set a new strategic course to improve operational results. Upon request, FromTopDown provides continuous professional support for executive decision-makers, including monthly performance reviews, ongoing ROI analysis and follow-up recommendations on any of our projects. In every situation (and some were very challenging), they were strategic, innovative, and indefatigable. My favorite quote is: 'We all acknowledge that this project is impossible. That said, here's how we're going to get it done.' Highly recommended.